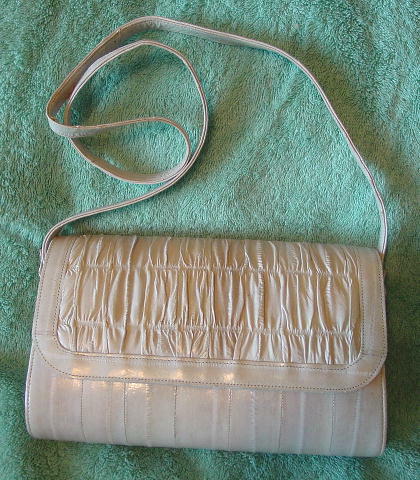 This vintage eelskin purse is in a multi-color wheat and bone color. 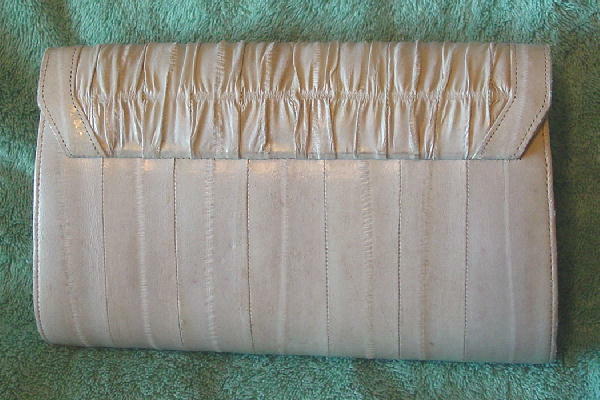 The eelskin lid has ribbing and is edged on 3 sides by smooth eelskin. It has an envelope styling with a hidden magnetic snap closure. There is a detachable 36" by 1/2" eelskin shoulder strap, so you can carry it as a clutch. 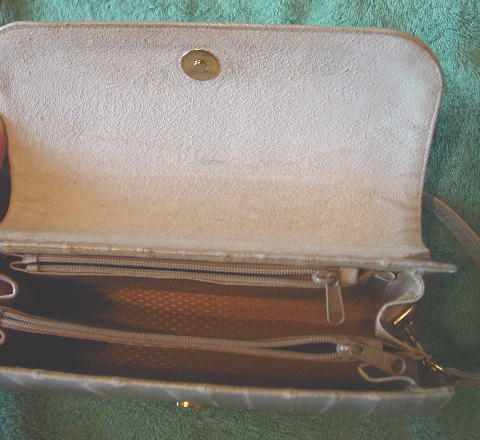 The interior of the lid is in a bone suede which has some discoloration. The interior has a fabric lining with some discoloration on the fabric on the front of the interior zippered pocket. The purse has a firm framework. The light areas by the bottom of the flap are reflections.